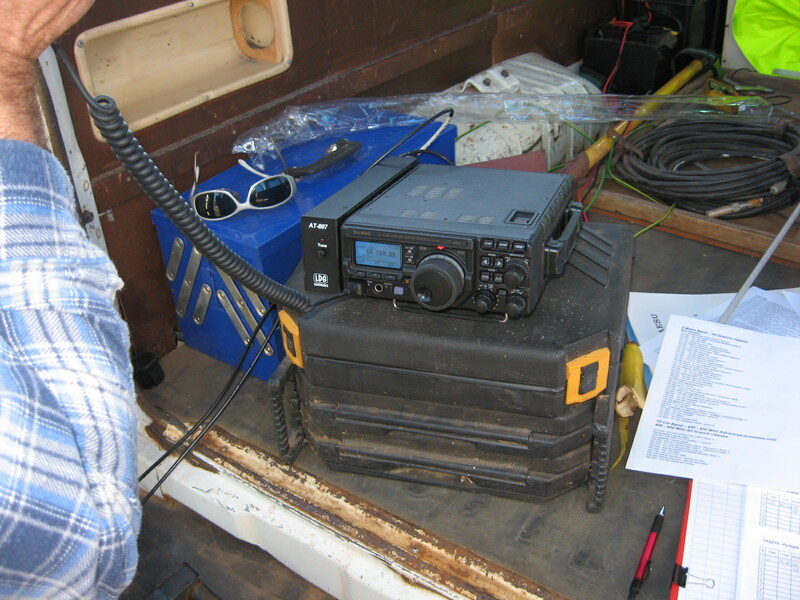 June 21/22 2008 was the date of the inaugral VHF/UHF Field Day. Mike VK6ZYX decided to give it a go. 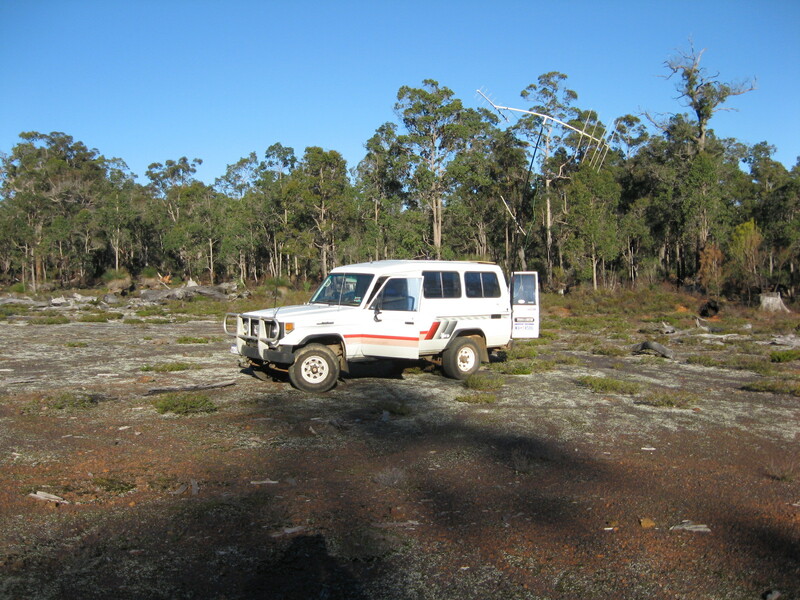 He set up on the hills to the east of Yarloop, operating from the back of his Toyota Landcruiser. 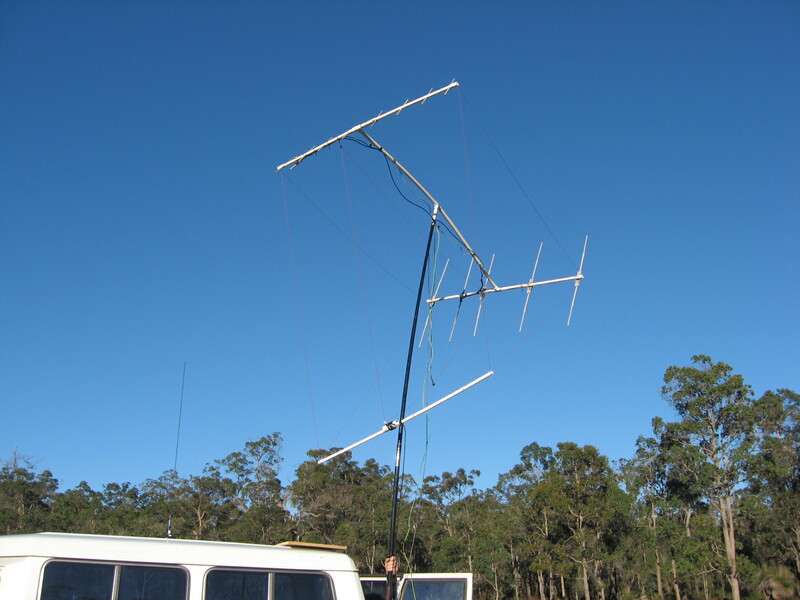 He had antenna's for 6m, 2m and 70cm. Well you can plan most things but you cannot plan for low participation rates. He managed some contacts but overall the results were disappointing. 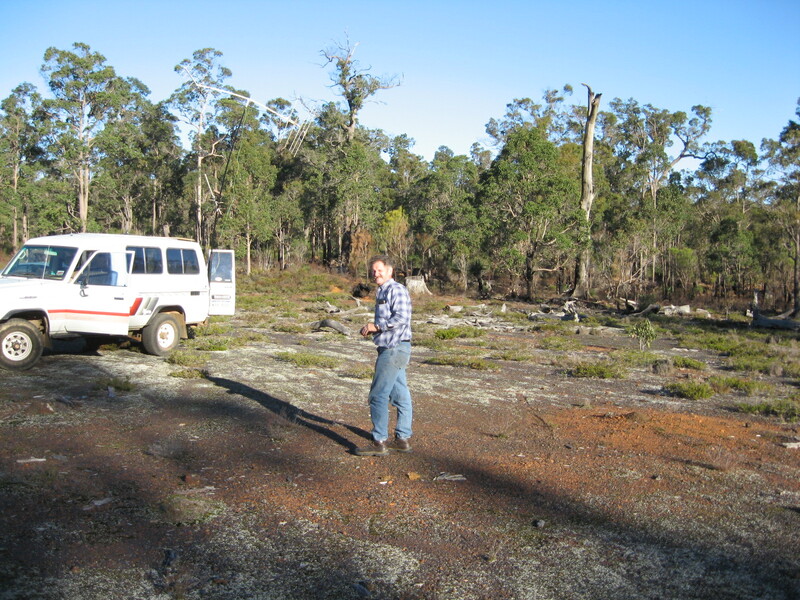 I paid him a visit to one of his planned operating sites and met up with Mike and got a few photo's. and "Thing" from the Addams Family rotating the Squidpole. If you are using Internet Explorer press the Start Virtual Tour button below to view the Field Day Operations area. Note: Works with Internet Explorer but not Firefox. I have not tried with other browsers.